I looked forward to the introduction of the Fisher F75 with great anticipation since the lead engineer behind it was Dave Johnson. Dave has had a hand in many of the best VLF gold detectors ever designed. I admit to being put off when I got my first F75. The stupid thing seemed to false constantly when I used it in Anchorage. And on top of that there were numerous reports of problems with product quality issues from users far and wide. I sold my first unit in fairly short order. But then my friend George reported how much he liked his F75. Then buddy John got one and reported how great it was. Then detector pal Gary told me how much he liked his. Obviously I was missing something. So I got an F75 Special Edition, an all-black limited edition model with gold trim, which comes with two coils and which has a special Boost Mode for extra depth where it can be used. I took that detector to Moore Creek in 2010 and found gold nuggets with it in trash infested areas others avoided. I went to Ganes Creek next with it and did ok but no special love on that trip. I took it to England last fall and did exceptionally well for a first visit. Then off to California for a High Sierra visit and my first gold outside Alaska. Then back to Ganes Creek this spring, and gold nuggets every day. I like a few things. First, the weight and balance is superb. I can swing the F75 all day and then some. Add to that exceptional battery life. This detector just keeps on going. It comes with a meter cover and control box cover that are perfect for rainy conditions. The small coil is great on small gold. It is a very hot 13 kHz detector. I learned a lot at Ganes Creek. I ran in all-metal mode. What makes the F75 rather unique is that the meter is always in discriminate mode even when the unit is operating in all metal. All metal gets you max depth and sensitivity. So I would hunt and listen with all settings jacked to the max. Boost all metal sensitivity set to 99. Any audio response is a reason to stop, slow down and examine the signal. If the meter is blank, dig on down until the meter kicks in. If you get solid 15 or lower meter readings repeatedly take a pass and move on. If the target does anything else on the meter (bouncing from high to low) dig that puppy. 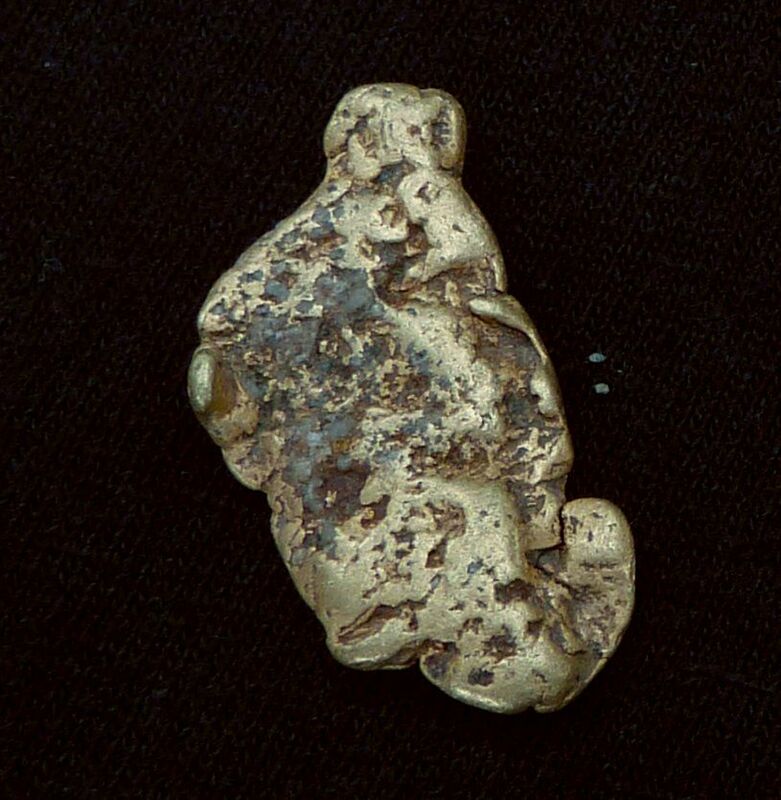 Most gold reads about 22 but the larger the nugget the higher it can read. I wish I could get my first week at Ganes back this spring as it was not until week two that I really zeroed in on how the machine works. I consistently was getting small nuggets that most of the other people were leaving behind. My friends had been trying to convince me for several years to go on a metal detecting trip to the UK in search of Celtic gold coins and hammered silver. Finally, in 2009 I committed to making the trip in the fall of 2010, as you need to book these trips a year in advance. 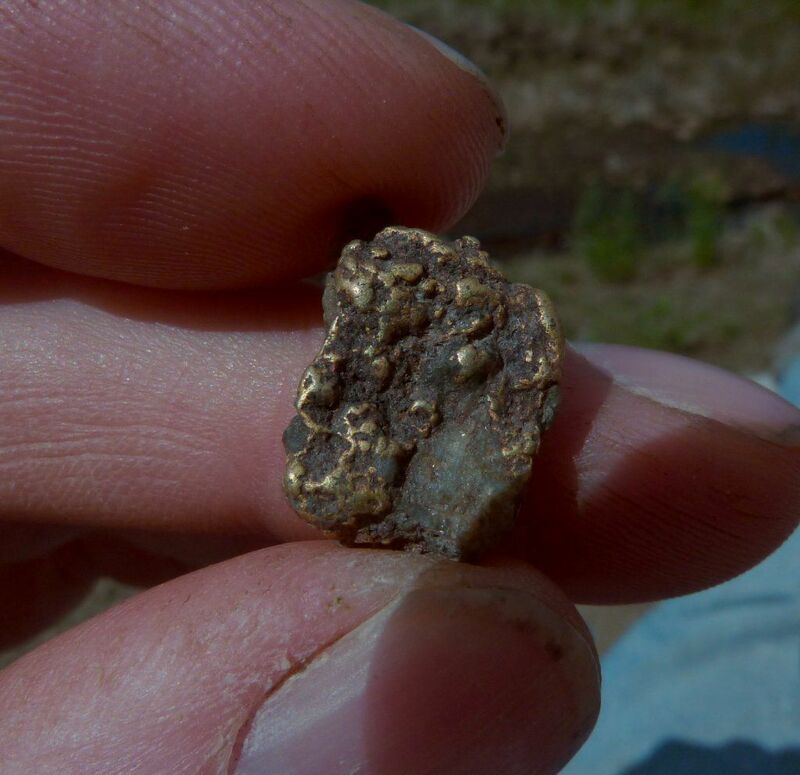 The spring of 2010 arrived, and I had my summer gold nugget hunting trips laid out. I had decided that the Fisher F75 was high on my list of units to take to the UK due to its high sensitivity to small targets and incredibly fast response time. I tend to concentrate more on covering area than in seeking extreme depth, and so I favor a machine that can tolerate a very fast sweep speed. The F75 excels in this regard, and is no slouch in the depth department either. It is imperative one practice with a unit prior to an important trip, and so I packed my F75 for my nugget trips. 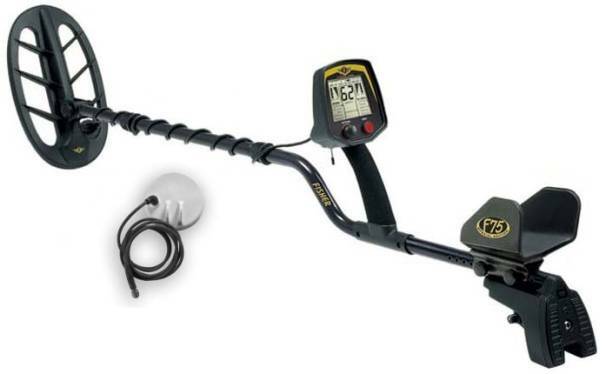 The F75 is not usually thought of as a prospecting detector, but it has all the features required for the task. I figured I would kill two birds with one stone - see how the F75 does nugget hunting and get practice for the UK trip. My first trip in June was to Moore Creek, Alaska. Moore Creek normally favors pulse induction detectors, but I was pleased to find the F75 handled the tough hot rock environment as well as any VLF detector I have used there, if not better. I got some time to do a little nugget detecting myself, and so looked for an opportunity to use the F75. The airstrip at Moore Creek is made of old tailings, and so has the potential for nuggets. But it also is loaded with trash, so people tend to avoid it. Another person in camp was using a VLF, so I suggested he give the airstrip a go in discrimination mode to sort through the trash and maybe find a nugget. He declined, so I figured what the heck, I'll do it myself. Usually one nugget hunts in all metal mode. But I do use discrimination modes a lot, when in trashy areas, or to help with severe hot rocks. I set the F75 up in JE mode and cranked the sensitivity as high as conditions would allow. I used notch 1, discrimination 6, single tone. The unit ran hot and a bit chirpy. I soon discerned that hot rocks were hitting about 16, and concentrated on hits over 16. I dug lots of .22 shell casings, which I was amused to find hit at 22. Plus bullets and aluminum trash. I was right in the middle of the runway when I got a strong signal, and was surprised when a 1/2 ounce nugget popped out of the ground! It also hit right at 22. 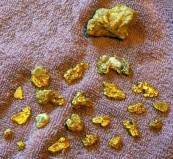 The next day I hunted with the F75 again, and pulled up two more gold nuggets, each a couple pennyweight each. Needless to say I was very happy with the F75 at this point. My time at Moore Creek was over and I flew directly over to Ganes Creek, Alaska. Ganes Creek is only 30 miles from Moore Creek, but conditions are far different. It is low mineral ground loaded with ferrous junk, and large gold nuggets. Good ferrous discriminating VLF units are favored there, and so once again I gave the F75 a spin. This time I experimented with the all metal mode. I found I could run with the settings maxed in all metal and yet the unit ran smoother than in disc mode. Better yet the machine is getting maximum audio depth, while the meter continues to operate in discrimination mode. This is a rare trait in a detector, offering the best of the all metal and discrimination modes at one time. You hunt by ear, and in cases where the target is shallow enough, you will get a target id. But what got my interest were the targets I heard, but for which there was no target id. These are very deep targets, deeper than units operating in a pure discrimination mode will hear. I waited until an opportunity arose where the other people in the group pounded a particular tailing pile that had just been bulldozed. This tailing pile always produces gold, so people were all over it, giving it their best shot. Finally, nothing was coming out of the ground, so they all wandered off. I set the F75 up in all metal, and really put my effort into covering every inch to the best of my ability, listening for the faintest whispers. Up came various non-ferrous targets the others has passed over, all beyond discrimination depth. What I did was get a signal, but no target id, then dig off some soil until the target id kicked in. This usually revealed a ferrous target, and I would quit. Or a non-ferrous target, in which case I dug it up. They proved to be various aluminum targets, which anyone looking for gold has to dig. I persevered, and finally got a nice, sweet audio, within no id. I dug down, and still no id. And dug some more, and it kicked in as non-ferrous. And then, at over a foot, another 1/2 nugget appeared, but a much nicer piece than the once I had found at Moore Creek. This one was solid gold and a very attractive nugget. I was pleased to no end. It really makes me feel good when I can go in behind a bunch of good detectorists and still pull up an excellent find. I is impossible not to like a detector that lets me make such a find. A month later and I found myself in northern California, on my first nugget hunting trip outside Alaska. We were hunting an old hydraulic pit, and I was leaning on the Gold Bug 2 since the gold was very small. But I did give the F75 a spin, to see how small a nugget I could find with it. Unfortunately I did not have my small coil along, so I can't offer an absolute answer to that question. The smaller coils are hotter than the stock coil on small gold. Since all I had was the stock coil, I gave it a try. A little experimentation showed me that the all metal mode hit small gold well, but the audio response is very soft. I found the same test nugget would bang out hard in JE mode cranked up to sensitivity 99, single tone, discrimination at 6. So I went with that. I hit an area right next to camp and due to the low mineralization the unit ran smooth even though the settings were maxed out. Not something you will see often. I dug shell casing fragments for some time and bits of lead, but that made me happy. If an area is cleaned out, there should not be non-ferrous targets of any sort left in the ground. 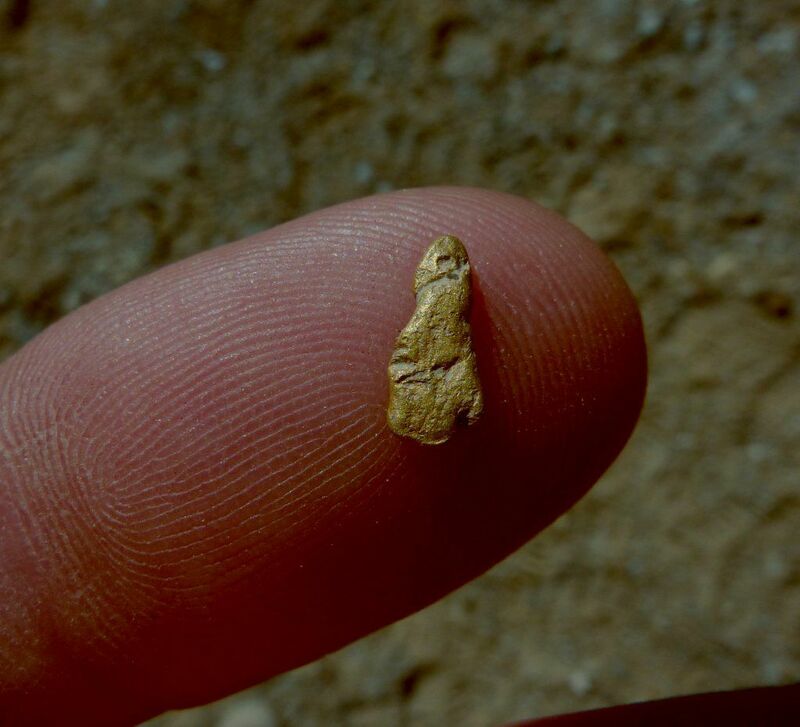 Then I got a small nugget, my first gold ever from outside Alaska! I have found many pounds of larger gold, but this little nugget was my favorite of the summer just for being from California. It only weighed a few grains. A bit more hunting in the same area turned up its cousin, also only a few grains in weight. I have to note that a few grains is small indeed. If the F75 is that hot with the stock coil, it should do better yet with a small coil. So there you have it. 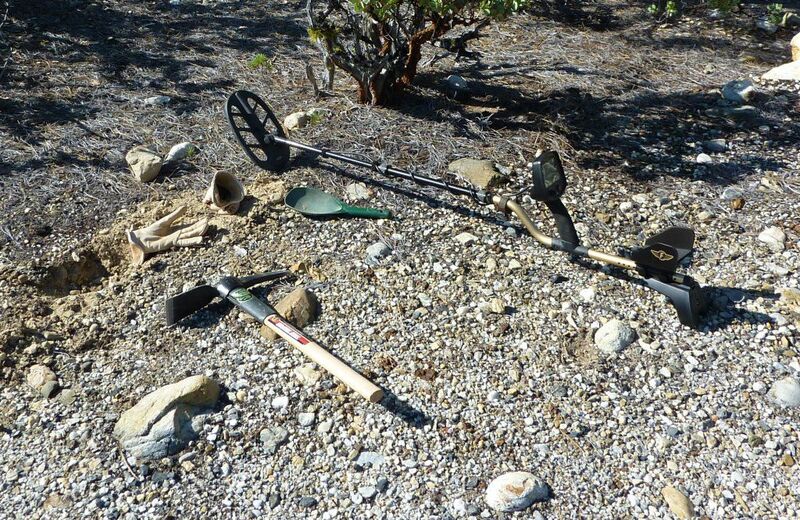 Large nuggets and small, gold from mineralized ground and in the middle of trashy ground. For versatility the F75 is hard to beat, and it is definitely a very capable prospecting detector. I managed to pay for the detector in just a few days nugget hunting. And better yet. I am typing this report out at 5:30 AM in the UK, the morning of my third day of hunting here. My first day I scored two hammered silver coins with the F75, and another yesterday! My efforts with the F75 earlier in the summer are paying off as I hit the ground running. But that will be a story for another day! One pictures is the 1/2 oz nugget found at Moore Creek, the other is a 1/2 oz nugget found at Ganes Creek, first California nugget and F75 in the field in California.